I’m 40 and have a serious acne issue. Having been a beauty editor, this does not sit well with me. My skin should be youthful-looking, spotless and glowing, right? But even with my access to top skincare experts and products, my skin is behaving like a naughty child. So I’m consulting a naturopath and re-hauling my skincare routine. Here’s what I’m pinning my hopes on. I know a lot of women feel like they can’t wear a red lip. They say it’s too bold; it’s too bright; my lips are too thin, I don’t wear red….I’ve heard it all. But trust me on this. Swapping your basic red for a deeper shade is a game-changer. Lately I’ve been obsessed with Dr.Roebucks, an Aussie beauty company that totally ‘gets’ my good-for-you beauty jam. An all-natural based brand, Dr. Roebucks has gained a cult-following for those in-the-know. 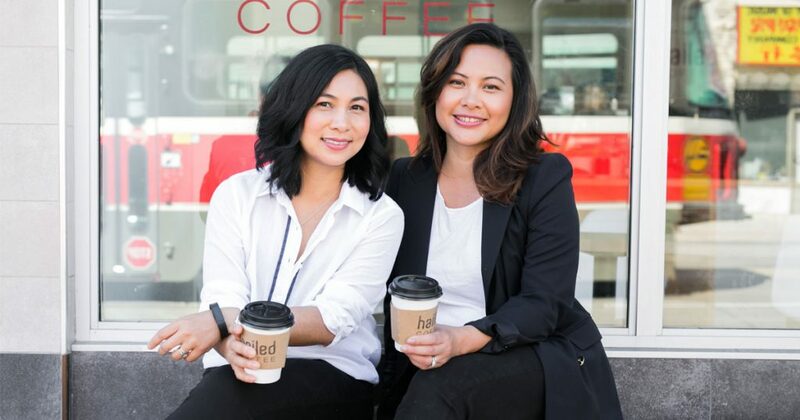 We spoke to its twin founders Kim and Zoe—both moms (hello, #bossmoms! )—about their international appeal and why Canadian women can’t seem to get enough of it. The Honest Company helmed by Jessica Alba and Christopher Gavigan (FYI: he also happens to be Jessica Capshaw’s huzz) carries everything from tampons and diapers to deodorants and laundry detergent. We were lucky enough to ask Christopher some questions about their non-toxic and clean products and here’s what he said. As moms we’re all trying to make healthy, clean choices and going green when it comes to what we put on our skin is a step in the right direction.. But in a sea of products touting organic, natural, all-natural and pure on the labels, how do we really know what’s good-for us? Beauty Director Lesa Hannah has some answers. Lesa Hannah doesn’t mince words when it comes to decoding organic products. She’s seen and tried pretty much all of them thanks to her job as Beauty Director at FASHION magazine. Here are the must-haves that have her love and attention. I quizzed Sylvie Ganter, Founder and creator of Atelier Cologne on her summer-scent rules. A true romantic when it comes to fragrance, Sylvie believes in making your own rules. For her, fragrance is putting a moment in a bottle, meaning that there is no wrong time to wear it. Essentially, she’s saying try to keep cool and enjoy where your fragrance takes you which means I don’t have to sacrifice any of my faves no matter how hot it gets. Yippee. Stacey Davis has been hard at work on LoveFresh since 2007. She got inspired to trying something new after her work as a stay-at-home mom started to wind down during her 40s and proves it’s never too late to kickstart an idea.